I say ‘end’ but I only mean end of braces and physio appointments. There is still the morning ritual of making it straight and the evening ritual of making a fist, as well as squeezing a foam ball. 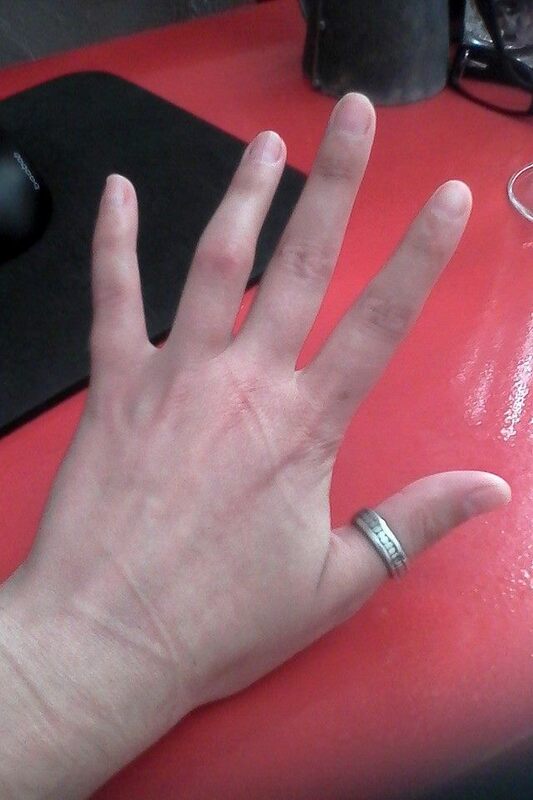 But when my hand is relaxed the ring finger looks like any other. 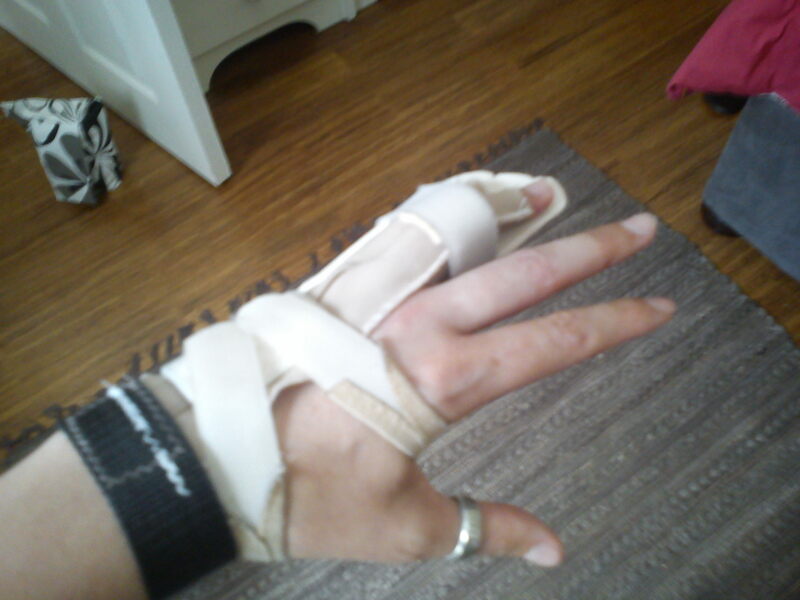 Apart from the obvious hindrances of having a broken finger, a couple of unexpected things have occurred. For example, a new found apprehension of climbing stairs and ladders. I worry that if I trip I won’t be able to catch myself from falling because I can’t grip things quickly. And when falling, you don’t really have time to flex and prepare your fingers to grip. It’s also difficult to demonstrate the difference between ‘flat’ and ‘bent’ when one finger is bent, thus throwing off the idea of flat. 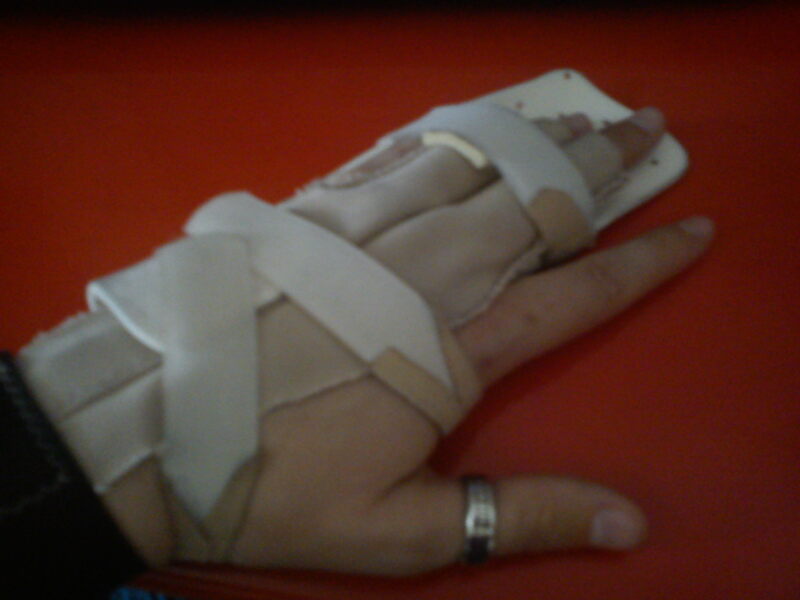 But people adapt after losing fingers and so I shall adapt as well. It’s just… slow going. Every once in a while I take a look at my life and decide if I’m still on the path I want to be. Do I still think the things I think I think – have they changed and I didn’t realise it? Should I change them? Should they stay the same… Or better still – how do I improve them? Often this boils down to ‘how can I work less and still survive?’ But sometimes it also involves making life choices that might be sudden or temporarily uncomfortable. There are few things that really bother me. Most of the time I look at the thing/situation/person and wonder if the effort is worth it. If not, I move on. But I do have limits and I do have things that bother me, and when I find my limits pressed I cut off the situation/thing/person. It’s a straw that breaks the camel’s back kind of thing. I’ve been reading two things non-stop – Gintama and Quiet. Gintama makes me laugh so much, and Quiet makes me think so much. Over the weeks I’ve been reading Quiet I’ve had so many light bulb moments and moments of clarity, I feel so much more content with myself and my life choices. Introvert or not, everyone should read Quiet – it brings understanding to all parties in all communication situations. The death article didn’t really say anything new for me. I’ve always seen death as something inevitable and life as meaningless, but to be enjoyed. So at the end of the thinking day I find myself still in my lovely house with my fat old man cat, my manga and THEATRHYTHM~!